Providing you the best range of trefoil clamps cleats and trefoil clamp cleat nylon frp pvc aluminum with effective & timely delivery. We are indulged in providing with a broad array of Nylon, Molded FRP Trefoil Clamps. Used for high voltage single core cables where current rate is high, our offered trefoil clamps are designed utilizing the top quality material and advanced techniques according to the industry guidelines. 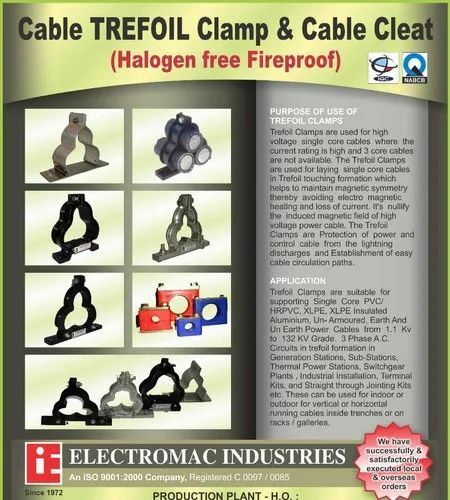 These trefoil clamps are designed with high precision in order to meet the market norms. Aluminum Strip 25 x 3mm & 50 x 6mm Trefoil Clamp. 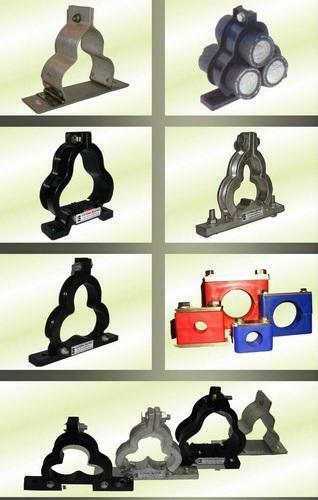 Our offered Aluminum Trefoil Clamp is widely appreciated by our customers, which are situated all round the nation. Our Aluminum Trefoil Clamp are highly appreciated for their quality and longer life. These products are available in market at competitive rates. These are manufactured from qualitative range of raw materials, which is quality checked by our team of experienced professionals. The Trefoil Clamps are Protection of power and control cable from the lightning discharges and Establishment of easy cable circulation paths. Voltages are induced in the sheath of cables running in parallel which result in circulating currents flowing in the sheaths. The distances between single core cables running in parallel determine the voltages induced. With single core cables in trefoil formation (touching each other) the distances between the cables are minimum and thus the voltages induced are minimized and hence the circulating currents. The circulating currents cause localized heating. Looking for “Trefoil Clamps Cleats”?